May 6, 1944, was the fateful day. I was a B-24 pilot in the 756th Squadron, 459th Bomb Group, 15th Air Force, flying out of southern Italy. My crew and I had finished about half of our missions and considered ourselves veterans. That day we were breaking in a new copilot, Camillus Rechtin, taking him on his first mission. Little did he know what was to come. The airplane normally flown by my crew was the Fighting Mudcat, so named because the catfish is a survivor. It must have been out of commission that day as we flew a borrowed airplane. My wife tells me I should never borrow things. I had a little superstition going. At the briefing before the mission I always made it a point to enter the estimated time of arrival back at our home base on the briefing sheet or pilot’s flimsy and carry the sheet in my pocket on the mission. If for some reason I missed getting the official pilot’s flimsy, I wrote the time of arrival on a scrap of paper and carried that. It seemed good to have an estimated time back at home base written down somewhere on my person. As we taxied out for takeoff on May 6 the paper blew out the open cockpit window. I remember the flight engineer saying “We didn’t need that, did we?” I bravely said “No” and on we went. It was 96 days before we saw home base again. It was enough to make one wonder. The mission as to the Campina Marshalling Yards, near the Ploesti oil fields. Our group led the 15th Air Force over the target and caught the full benefit of flak and German fighters before the gunners or the fighter pilots got tired. The fighters came right through their own flak to make a nose attack on us. One FW-190 had our airplane singled out. After he passed just beneath us the gunners on my crew said he went down trailing smoke. We will never know for sure whether we hit him fatally or not. We will also never know whether the damage to our plane was done by the fighter or by flak. Shortly after “bombs away” number three engine was losing oil pressure. I tried to feather it, without success. A look at the engine show why. The prop governor had been it and was hanging by one bolt. The drag and vibration forced us to slow down and lag behind the formation. Two P-38’s came and flew alongside us until we were beyond danger from German fighters. I would like to have hugged those pilots, whose names I probably will never know. The next excitement came when number three engine seized from turning over without any oil. The vibration was horrendous. The right wing shook in a sine wave pattern as though one took one end of a rope and tied it to a tree, and then gave a good shake to the other end. Finally something snapped. I was later told that the reduction gear must have failed. The propeller now spun freely on just its own bearing and things went more smoothly for a while. But not for long. Number four engine now began to lose oil pressure. Not wishing to repeat the experience with number three, we got it feathered in a hurry. With two engines dead on the same side we threw out guns, flak suits, etc., anything to reduce weight. We managed to maintain about 8000 ft. altitude, just enough to clear the Dalmatian Alps near the Adriatic Sea. 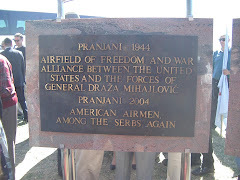 I was figuring that I might the first to bring a B-24 back from the Ploesti area with two engines dead on the same side. That should be good for a distinguished flying cross and a little respect back at home base. But all that was not to be. John Thibodeau, the navigator, was trying to keep us on a course that would not take us over any flak batteries. Just after we crossed the Danube River near Turnul Severin and the Iron Gates we encountered flak at the Yugoslavian town of Bor. It had not been noted on our charts. One blast set the number two engine on fire. The crew said that the bomb bay doors looked like the top of a salt shaker. With only one good engine and no way to put out the fire, the only course of action was to bail out. I gave the order to bail out on the intercom and hit the bail out bell. Then I took one more look at the burning engine. It did not look any better. I turned and looked back to see how the crew were coming along at bailing out. All were gone except John Thibodeau, who was standing in the bomb bay motioning me to come on. I waved to him to get out. I did not want anyone in my way when I let go of the wheel. He jumped and I jumped. As I tumbled through the air I remember saying to myself that even if the parachute did not open, I was no worse off than when I was in the plane. It did open. My attention was drawn to a noise like the loudest siren I ever heard. The free propeller was winding up as the plane dove toward the ground. The plane hit ground and there was a huge fireball. Cecile B. DeMille never put on a better show. After the fireball cleared, all I could see was a large black spot. At first I seemed to be descending very slowly. I feared the Germans would have time to have a patrol waiting for me when I reached the ground. As the ground came closer I realized that it was approaching at an alarming speed. I made a good landing, but did have a sore shin for a week or so. I almost landed on top of a group of Yugoslavian peasants who were having a picnic lunch. The table was set near a farmhouse. On the table was a sheep’s head, eyeballs and all. As the honored, if uninvited, guest I was offered the eyeballs. Somehow I lost my appetite. Then they offered me a glass of wine and it seemed like a marvelous idea. Probably within ten minutes or less a couple of men approached wearing military caps, with rifles slung over their shoulders, and leading a horse. They mentioned Draza Mihailovic and indicated that I was to mount the horse. It had not taken the guerrilla organization long to find me. That afternoon we kept moving rather steadily and a few times I heard shots fired over the hill. Once we stopped for a few minutes to talk with a Yugoslavian medical doctor who had been educated in France. I discovered that it is much easier to communicate in French with a Yugoslavian educated in France than with a Frenchman. He was very helpful at putting the words in my mouth. For example he would ask in French “Is it that you are worried about your comrades?” All I had to supply was “Oui”. He told me that all were well with one slightly wounded. It was to be two days before I saw the rest of the crew again. In the evening we stopped at a peasant farmhouse. The lady of the house offered me a cup of hot goat’s milk with some kind of scum all over it. I was getting very hungry. So I said to myself “You have to eat to live. Furthermore these people eat it and they survive.” It tasted better than it looked. After supper I was put to bed on a pile of straw. At some time during the wee small hours they woke me up and it was time to move on again. By this time there were about six Chetniks escorting me. We all rode horses with about three of them in front, then me, then three more of them bringing up the rear. We proceeded single file winding through the hills by moonlight. The Chetniks wore Cossack style fur hats and tight jackets. Each had a rifle slung over his shoulder. The only sound was of the horses' harness jingling. I pinched myself and silently asked "What am I doing in the middle of this Grade B, black and white movie?" The next day our pace was more relaxed. We seemed to go from one outdoor cafe to the next, with a round of drinks at each. I was carrying two hunting knives, one on my belt and one strapped to my leg. The Chetniks would ask, via gestures, "Why two knives?" Then one of them supplied the answer. He pointed to one and said "Ah Hitler" with a throat-cutting gesture and an appropriate noise like a death rattle. Then he pointed to the other and said "Ah Mussolini" with the same gesture and noises. I later used the same line among other groups and it always went over well. That evening there was a religious ceremony. They took me to what obviously were the graves of two American airmen who had been shot down and killed. A Serbian Orthodox priest conducted the service. It was evidently a sort of requiem mass for the dead. This took place at graveside. A cup of wine was passed around. Each person took a sip and spilled a small amount on the grave. That night I was put to bed in a house in a little village. In the wee small hours I was roused again. There was alarm that the Germans were coming. "Heidi, heidi" they cried to me, which by that time I had learned meant "Hurry, hurry". In my underwear I was taken out and hidden in the woods until the danger was over. The stark terror conveyed by their voices is something I will never forget. The next day I was reunited with the rest of my crew. There were in fact parts of three crews, about 24 of us, all billeted in one place, a peasant farmhouse. We had an interpreter, an old man who much earlier in life had spent several years in the United States. He had worked in Wisconsin in the logging business, obviously surrounded with Swedes. It was unusual to find a Yugoslavian who spoke English with a "My name is Yon Yohnson, I come from Visconsin" Swedish accent. The local chetnik commander was a man called Kent. 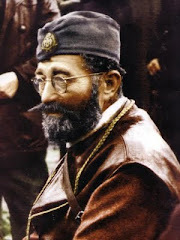 He was young, handsome and dynamic, a chetnik's chetnik. We were in the region of the Timok corps. Nothing great occurred for about a month. We were still fairly close to the Danube River, close to the eastern border of Yugoslavia. The local Chetnik commander was hoping to get us evacuated from there and hoping to get some sort of aid or supplies from the allies in return. 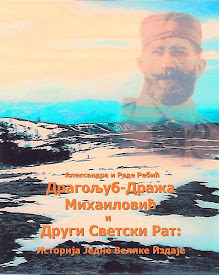 Finally he was persuaded to send us west to the center of old Serbia, the region where General Mihailovic's headquarters was. 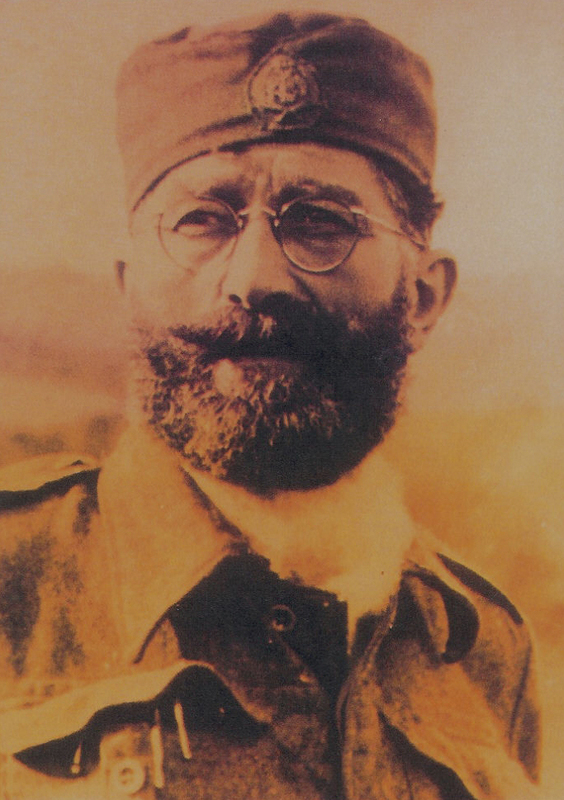 Captain Ivan Milac was assigned the job of leading us over about 150 kilometers to the middle of old Serbia. 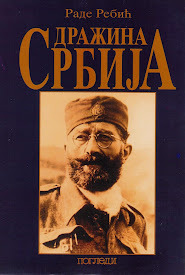 He was a Chetnik who had been an officer in the Yugoslav Regular Army. 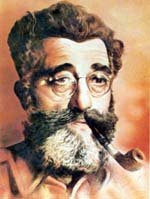 He had learned English on his own, largely by listening to radio broadcasts in English. A finer gentleman has never lived. We were issued rifles to carry on the march west. It began on a section of mountain railroad which evidently was considered safe. We traveled for some distance and the got off just before the train went into a town of some size. That was the only easy part of the march. The rest is all mixed together in my memory: walking in the sunshine, walking in the rain, sleeping on haystacks, sleeping on hardwood schoolhouse floors. John Thibodeau reminded me of one incident. About lunchtime we came upon a place where there were three city girls. The usual peasant girls in their babushkas were not all that attractive. But these were beautiful and they invited us to lunch and indicated that we could spend the night. It seemed like heaven. As we sat down to lunch the Chetniks indicated that we had to leave immediately, the Germans were coming. That was the last we saw of the three beautiful city girls. 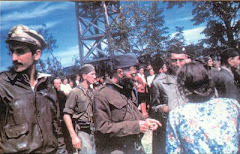 We arrived in the general area of General Mihailovic's headquarters and were divided up into small groups and billeted at various peasant farmhouses. We had lots of time to kill and would whittle out corncob pipes and smoke whatever local blend of tobacco we could lay our hands on. It was explained to us that cigarettes were in short supply because we had bombed the cigarette factory at Nis. I remember watching a peasant lady baking bread. It was in a little square house made of timbers. The roof sloped up steeply on all four sides with a hole at the top. The floor was of clay and in the center a fire had been burning. Most of the smoke rose and went out the hole at the top of the roof. The lady swept hot coals away from a spot on the hearth. The bread dough, on a plate, was then set on the clay hearth. She then placed a large earthenware bowl upside down over the plate with the bread dough. Finally hot coals were shoveled over the inverted bowl. That way the bread got baked. In Yugoslavia we saw real genuine gypsies. I never saw anyone who needed a bath more than they. They would come into the village carrying an accordion and a couple of violins. Then that evening the whole village had a party. Food was brought out and everyone had dinner. Then the gypsies played and there was dancing in the public square. Next day the gypsies moved on. It was an impressive event each time the 15th Air Force flew overhead on the way to targets in the Ploesti area. We would first hear a faint buzzing sound, like bees. The sound would get louder and louder until it became a roar and the sky was filled with airplanes. We knew we could count on another two or three crews to join us on the ground. Once we saw a B-24 overhead flying in large circles. All four engines were running. It kept flying in large circles until it eventually went out of sight. Clearly the plane has been abandoned. I would love to have had a long rope ladder to climb up into that airplane and fly it home. Meanwhile no great progress was being made at getting us back to Italy. One reason for this was that the British, who controlled the Mediterranean Theater of operations, had recalled their mission and severed all relationship with Mihailovic. 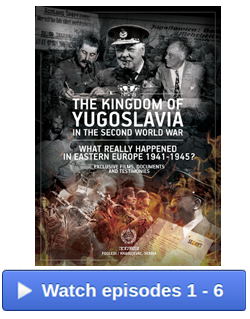 Some of the Yugoslavian officers who spoke English would tell us that they had notified their government in Cairo about our presence in Yugoslavia, and they in turn had notified the British, and that was all they could do. We gradually got the idea that we ought somehow to get a message to the 15th Air Force as to how many of us were in Yugoslavia, and that they would be more likely to act than the British in Cairo. To send a message involved getting General Mihailovic's personal approval. By this time (late July, 1944) there were close to 150 allied airmen in our group including the crew of one British Wellington. So far as I knew, as a first lieutenant I was as high-ranking as any of our group. So I started saying that as the commander of the Americans I wanted to see the commander of the Chetniks, General Mihailovic himself. Finding the general in a guerrilla outfit is not easy and it is not supposed to be easy. The lieutenant knows where the captain is and no more. The captain knows where the major is, etc. Finally I got to see General Mihailovic himself. We spoke through an interpreter. He assured us that he had notified his government in Cairo, etc., but was very willing to help us to send a message directly to Italy. Now it turned out that among the downed airmen the idea of sending a message to Italy was very controversial. Some said "Don't send any message. The Germans will intercept it and home in on it and capture us." Those on my side felt that the Germans already must have known that there were allied airmen in the hills. 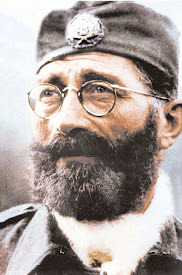 But the Germans were taking a beating on two fronts and did not have their finest troops stationed in Yugoslavia. They probably did not want to pay the price involved in trying to capture us. My right hand man in the whole process of getting to see Gen. Mihailovic and composing and sending a message was a fighter pilot named Jack Barrett. If we accomplished anything worthwhile he deserves a full measure of credit. Partially as a concession to the cautious group we decided to formulate a message in American slang which would accomplish our purpose and at the same time be as puzzling as possible to any Germans who might pick it up. "Our challenge first letter of bombardier's last name, color of Banana Nose's scarf. Your authenticator last letter of chief lug's name, color of fist on wall." This message was sent by a Yugoslav radio operator and picked up by a British operator in Italy. 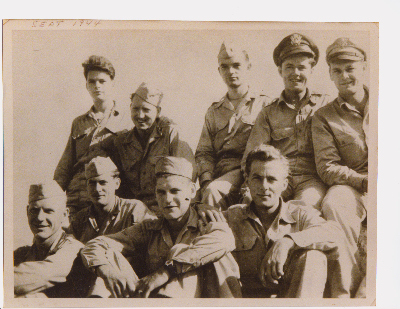 Eventually it came to Walt Cannon, who was then the CO of the 756th Squadron. He deciphered it and recognised it as genuine. This led to a reply which we got from 15th Air Force Hq. Someone in the escape and evasion office of 15th AF Hq. had a great idea. They asked us to transmit our longitude and latitude, coded by adding the numbers to my radio operator's serial number. This we of course did. The task leads to a digression in my story. I had to get longitude and latitude off some German maps which the Yugoslavians had. The Germans did not use Greenwich as the reference point for longitude. They used Berlin. I had to figure out a conversion. I remember that at West Point I thought the two most useless things I had to learn were: (1) How to ride a horse, and (2) How to use all the ground-troop type contour maps. After all, the only thing I would need would be aeronautical charts. In Yugoslavia, what do you suppose were two of the most valuable things I had learned at West Point? This leads to my small world story. About the time we were sending longitude and latitude to Italy I ran across my West Point roommate, Leo C. Brooks, in Yugoslavia. He had been shot down flying a B-17. Using the serial number code, 15th AF sent us a message saying what day and hour an OSS team would be dropped in to join us. It was about midnight and I remember the beautiful silhouette of a C-47 against the sky. The team was led by George Musulim, an American of Serbian parentage who spoke the language well. He had an assistant who also spoke the language and a radio operator. They were equipped with radio, code books, and everything necessary to arrange the evacuation. The Chetniks prepared a short sod-covered runway along the top of a hill. I paced it off taking short steps to be as optimistic as possible about its length. I got 600 yards. 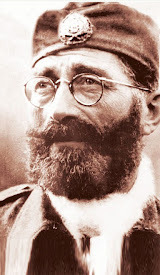 The Chetniks filled holes with dirt and stones and tamped it all down by hand. The evacuation started about midnight on August 10, 1944. C-47s landed, one at a time. The first took off before the second landed. We sent out sick and wounded first. 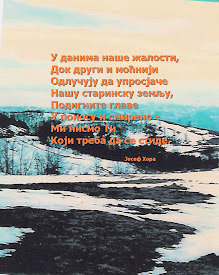 After that whoever had been in Yugoslavia longest had priority. I was scheduled for the third airplane. The first got off very nicely. The second went off the end of the strip and disappeared into the valley below. Fortunately it climbed out again. 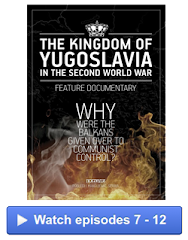 As we got on the airplane most of us threw our shoes out as a parting gift to the Yugoslavs [Serbs] who had risked their lives for us. We had to admire those people. They had something hard to explain. For lack of better words I will call it character and integrity. I was told the evacuation continued into daylight hours the next morning. Some P-51s flew cover in daylight. I know that there were several ME-109s at a field at Kraljevo not far from the evacuation strip. I saw them there at one time. Evidently they wisely chose to stay on the ground. As it turned out, about 250 of us were evacuated and flown back to Italy. Back at 15th AF Hq. in Bari, Italy, we were deloused and all our remaining clothes were burned. We were issued a set of khakis and given orders to return to the U.S. via the next convoy. So ends our Yugoslavian tale. One postscript might be added. Our tail gunner, Edgar Smith, hit his head getting out of the airplane. He evidently had sense enough to pull the ripcord, but he remembered nothing until he woke up lying on the ground. He used to complain about a sore neck. We suggested he have another drink of racchia, the potent local plum brandy. After we returned to the U. S. he wrote me that on the occasion of his mustering out physical exam, his neck was X-rayed. He had had a cracked vertebra. I am just as glad that we did not know about it at the time.